Dubai: The self-correction in values that Dubai’s property market went through from the second quarter onwards has made it easier for budget-conscious developers to make an entry with their projects. What this has achieved is to create more off-plan launches within the mid-tier of the market, which would be delivered over the next two to three years. “The cooling down has had a telling effect in making sure that property values in Dubai did not reach boiling point in a short span,” said Parminder Singh Sehgal, one of the partners in Park Investments, which recently launched a Dh270 million project featuring 92 town houses in Jumeirah Village Circle. “Back in January there was too much of hype and it would have been impossible for a developer like us to come in with a project at our pricing level. Our only option if the upturn had continued would have been to put off the entry. The recent Cityscape saw Dubai’s master-developers pushing ahead with signature launches and garnering all the attention, but independent developers were active on the sidelines picking up plots in the less developed freehold clusters in the emirate. The majority sentiment is that buyer preferences are turning towards mid- to upper-mid-tier properties, and for which banks are comfortable offering mortgage deals. The “ideal” price band would be something in the Dh2 million to Dh4 million range. But developers looking to buy plots are finding they are costing more. “Land prices have continued to rise even as end unit prices have started to taper off, particularly in areas where developer margins are high,” said Abdul Hakeem Kamkar, Director at Global Capital Partners. 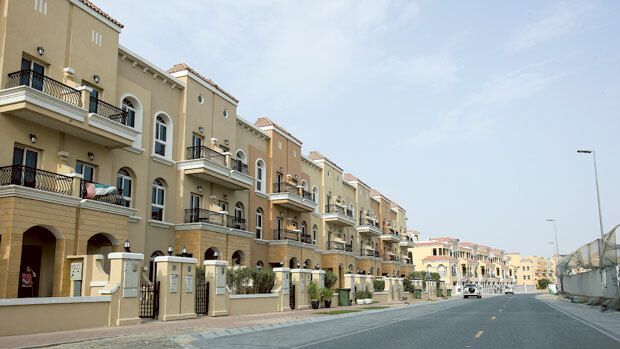 “In areas such as DWC, Majan and JVC (Jumeirah Village Circle, land prices have doubled over the last year. “On a citywide basis, land has appreciated by 21 per cent, outperforming residential values (which have risen by 13 per cent) on a year-on-year basis. This has been happening for two reasons: 1) aggressive urbanisation allowing developers to snap up parcels of land where construction activity is expected to accelerate (the Shaikh Mohammad Bin Zayed Road Corridor), and 2) developers arbitraging away the “supernormal” profits that currently exist based on prices that currently end units are being offered at. But market sources suggest that the benefits would be limited for a buyer if developers launch projects in the Dh700-Dh1,200 a square foot range, but those properties have sizeable built-up areas. That too would push the selling price beyond the current comfort zone of value-sensitive buyers.